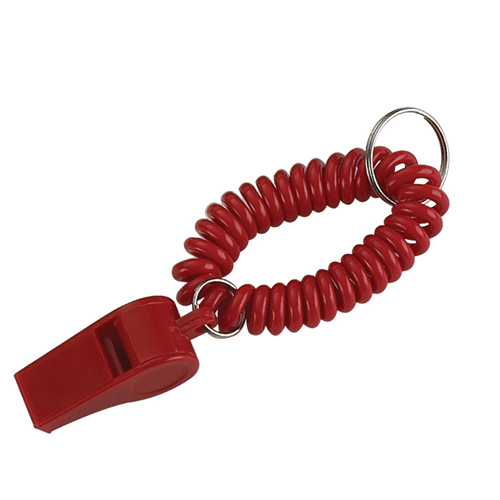 Wrist Coil Whistle Key Chain is made of durable plastic. 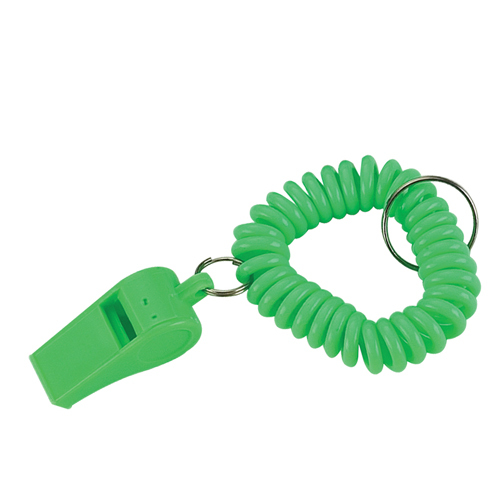 Whistle features a metal split ring and soft coil wrist band for easy access on the go. 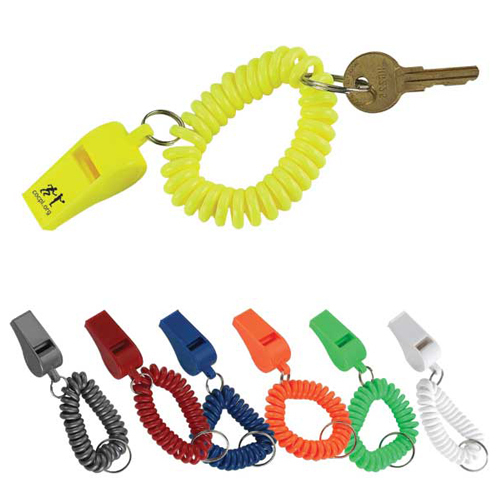 The expandable wrist coil fits most arms and is available in a varierty of bright colors. 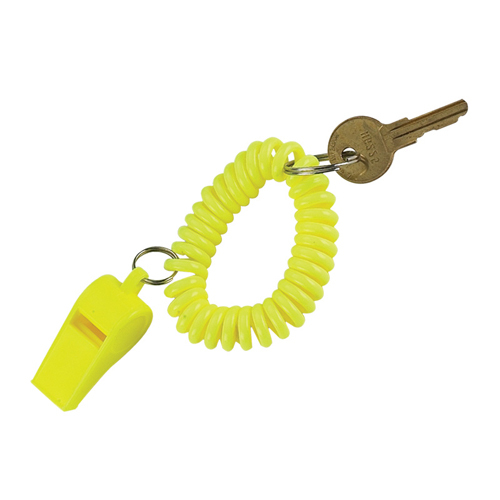 This is a great idea for safety promotions, nurses and college students leaving late night shifts or study sessions. 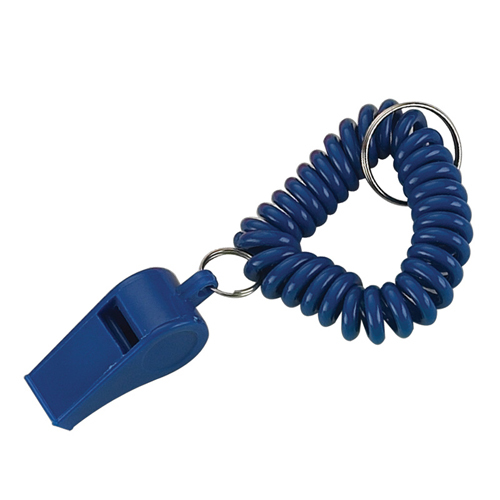 Customize this item for your next project or campaign! 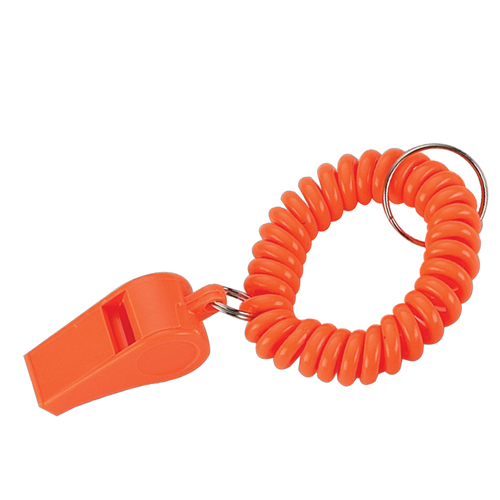 Blow new and potential customers away with this whistle key chain with coil!The durable plastic whistle is available in a variety of bright and fun product colors. 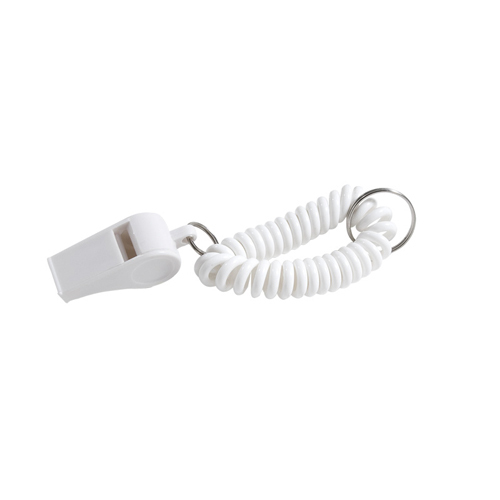 It features a metal split ring and has a soft coil wristband attached. The expandable wrist coil fits most arms. 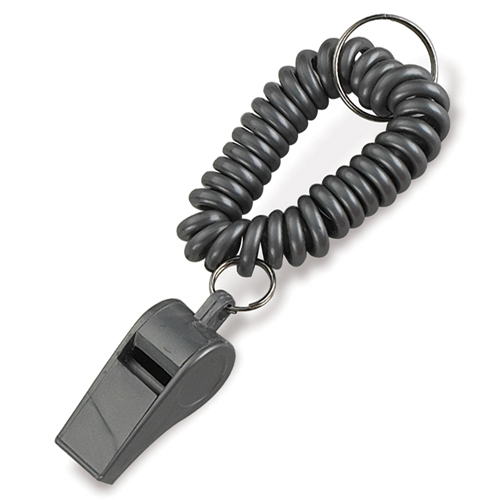 Add your company name, logo and promo message to it before handing it out at marketing events. It's a great idea for safety promotions, nurses working the late shift and students traveling home after late night study sessions. Help your clients and your brand! Bulk / 12 lbs / 250 pcs. / 16 x 12 x 8box.